On Episode 150 of the Doc and Jock Podcast coach Joe sits down for a chat with the president of USAW Weightlifting. We hope this episode was a fun one for you weightlifting fans out there. 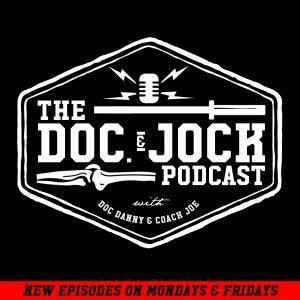 If you liked what you heard make sure to leave us a review on iTunes or hit us up on instagram @docandjockpodcast.